The online version of this article ( https://doi.org/10.1007/s00299-019-02373-6) contains supplementary material, which is available to authorized users. This work was supported by the French National Research Agency, (ref no. ANR11-BTBR-0001-GENIUS). 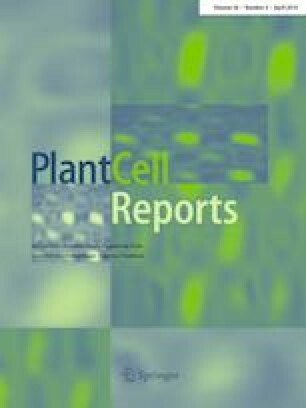 The authors thank Peter Rogowsky for his efficient management of the GENIUS project and Holger Puchta and the KIT Botanisches Institut for the pDe–CAS9 plasmid. The authors thank Luc Jourdon (GAFL Unit) for his technical support for in vitro culture. The IJPB benefits from the support of the LabEx Saclay Plant Sciences-SPS (ANR-10-LABX-0040-SPS).